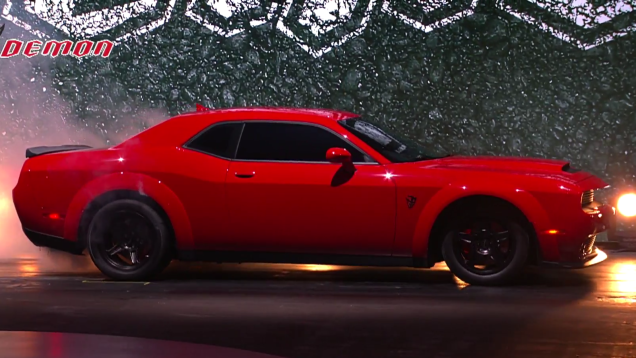 At the 2017 NY Auto Show, the much talked about Dodge Challenger SRT Demon broke covers finally and it is likely to be priced less that $100,000 – making it less expensive than the Tesla Model S P100D and some dedicated hypercars. 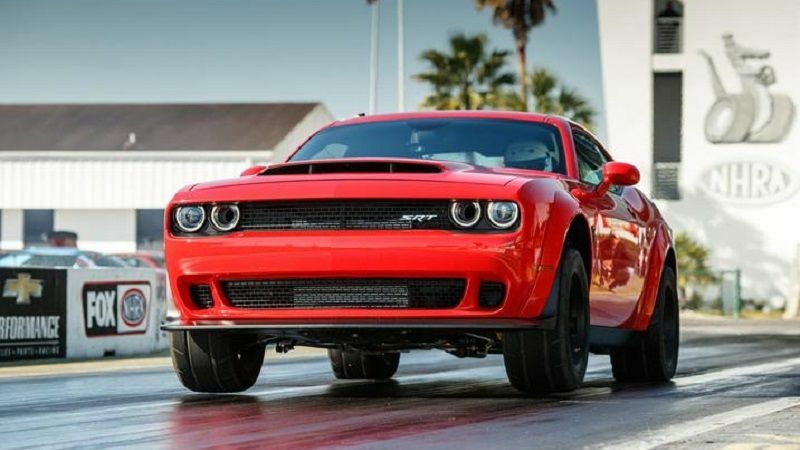 Dodge claims, the Challenger SRT Hellcat based Demon is the fastest quarter mile production car as well as the quickest accelerating street-legal stock car in the world with an array of mechanical modifications. 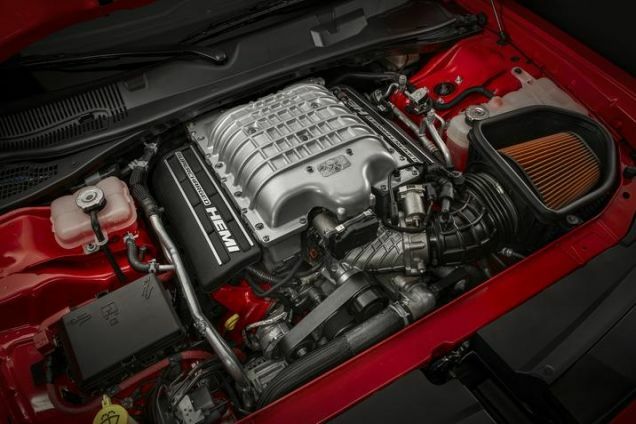 In the Demon, the SRT Hellcat’s 6.2-litre supercharged V8 motor has its power increased by a massive 133 hp to 840 hp. To achieve the boost in power, a larger supercharger, two dual-stage fuel pumps, new pistons and valve train have been installed. Moreover, the rev needle can now go up to 6,500 rpm. The engine incorporates reinforced connecting rods and three air intakes for sufficient cooling. Its astonishing straight line speed means the 0-10 kmph is claimed in just 2.3 seconds while the quarter mile is achieved in 9.65 seconds with speed of 225 kmph. It has entered Guinness World Record books for being the first ever front wheel lift in a production vehicle. 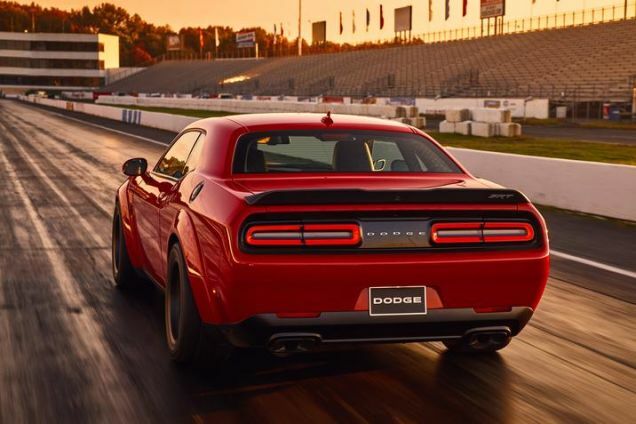 Moreover, the 1.8 g of lateral acceleration is the highest for any road-legal production car as well. It is also the first production car to run 100+ unleaded high-octane fuel for providing maximum performance. 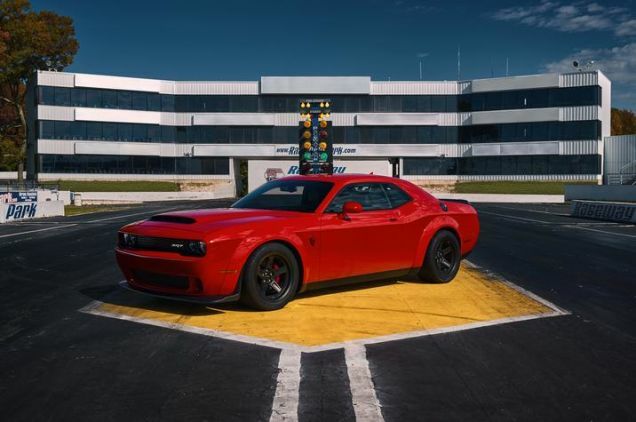 The stock Challenger SRT Demon complies with 91 octane fuel but the Demon Crate with new control module puts all the 840 horsepower down on the road. The two key fobs have the power to limit the output to just 500 hp or allow the maximum of 808 hp with 91-octane fuel and of course the full 840 hp using the powertrain control module. The eight-speed TorqueFlite automatic gearbox has been updated as well with an upgraded torque converter. 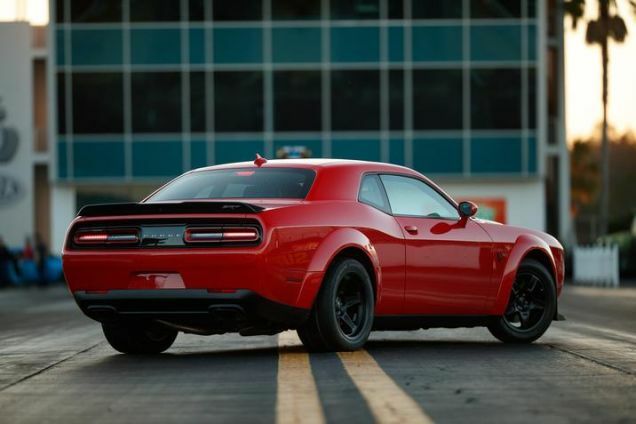 Production of the Dodge Challenger SRT Demon is restricted to just 3,000 examples for United States and 300 for Canada. A track sticky Nitto drag radials help in flooring all the power and the removal of seats have reduced the overall weight by 200 pounds.